A pressed version of the MAC Prep + Prime Transparent Finishing Powder, this is a light and silky setting powder housed in a matte gold compact. Although appearing paper white in the pan, the powder swatches almost clear. Unless you have a darker skin tone, the powder provides no visible pigmentation. The formulation is blurring and smoothing, perfect for regular, on-the-go touch-ups. 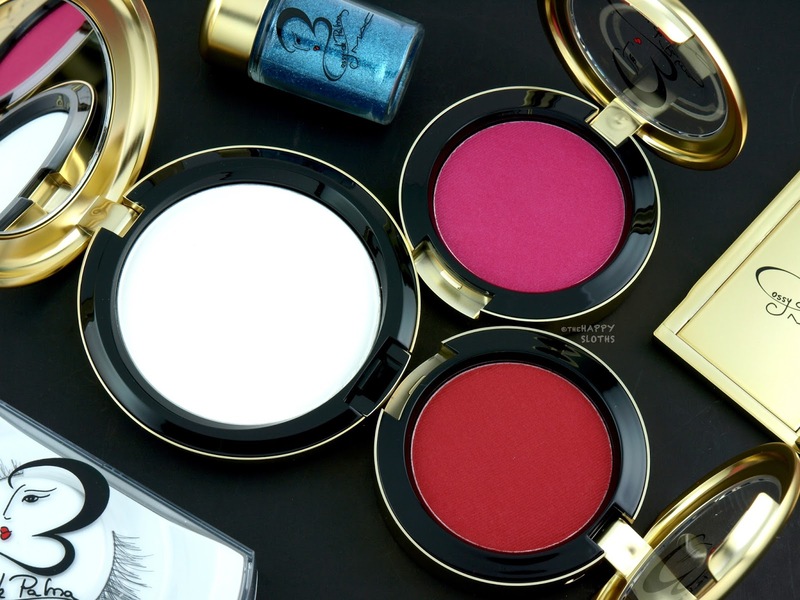 These are two very bold and bright powder blushes formulated with an ultra-intense pigmentation. "Pink Desire" is a rich hot pink and "Red Envy" is a dusty pinkish red. Both shades contain some subtle sparkles but when worn on the cheeks, they have a mostly matte finish. Needless to say, a little goes a long way. Just the lightest tap with a brush provides more than enough color. 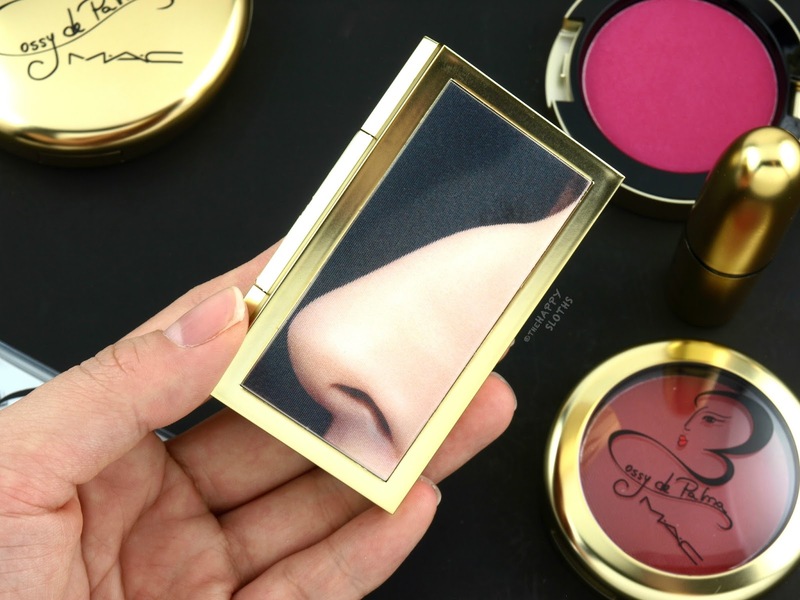 Both are actually very flattering when lightly applied but if you are a makeup novice, I'd recommend checking out some of MAC's more natural, sheerer powder blushes that are a lot easier to apply. 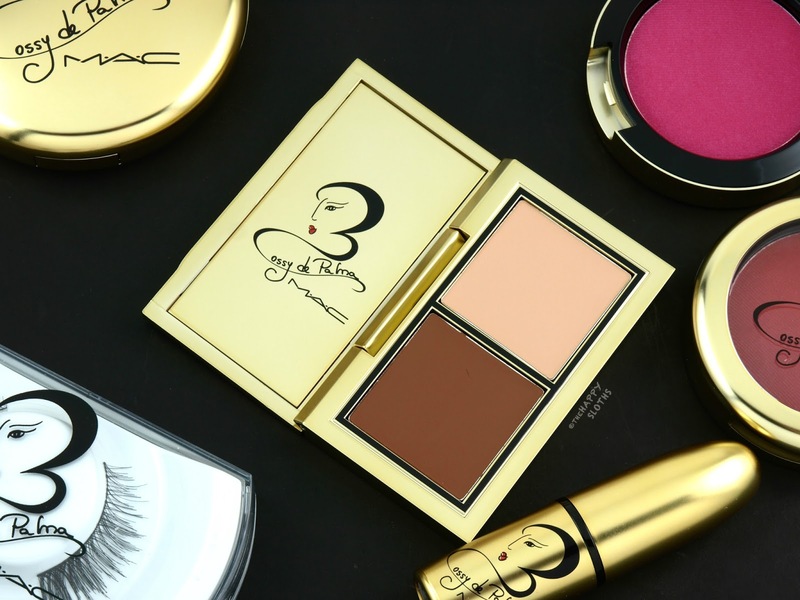 Housed in a slim, travel-friendly compact bearing a lenticular image of Rossy de Palma's nose, this is a mini contouring palette featuring two shades of the MAC Cream Color Base. The darker contour shade is called "Morocco" and the lighter highlighter/concealer shade is "Africa Dream". 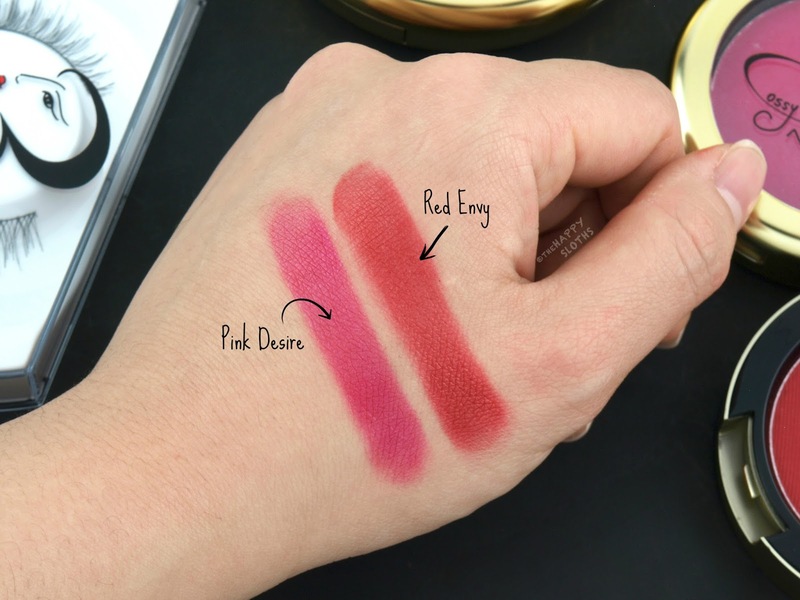 Both shades are nicely pigmented and highly blendable. They set to a powder dry finish but setting them with the Prep + Prime Finishing Powder increases wear time. 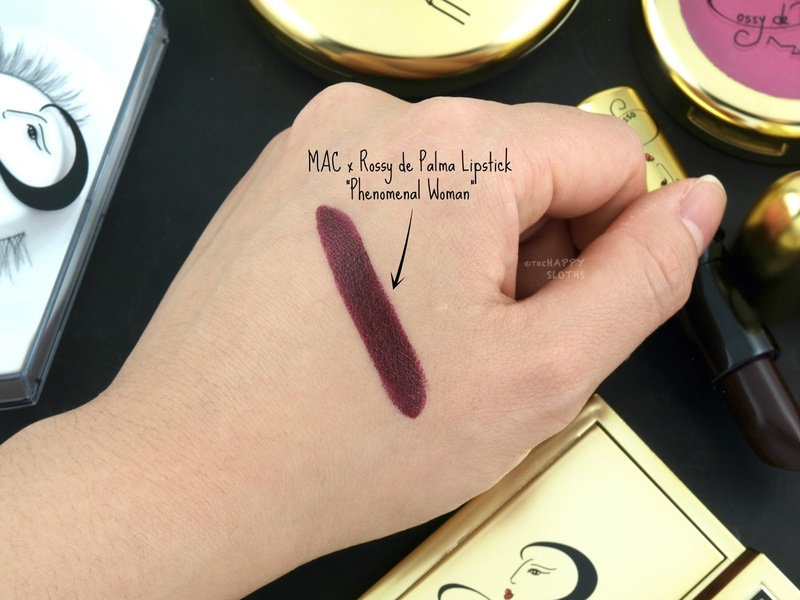 MAC x Rossy de Palma | Lipstick in "Phenomenal Woman"
Housed in a matte gold tube embossed with the unique MAC x Rossy de Palma logo, "Phenomenal Woman" is a deep oxblood red. This shade is described as having a matte finish but the lipstick actually features a classic cream formulation. 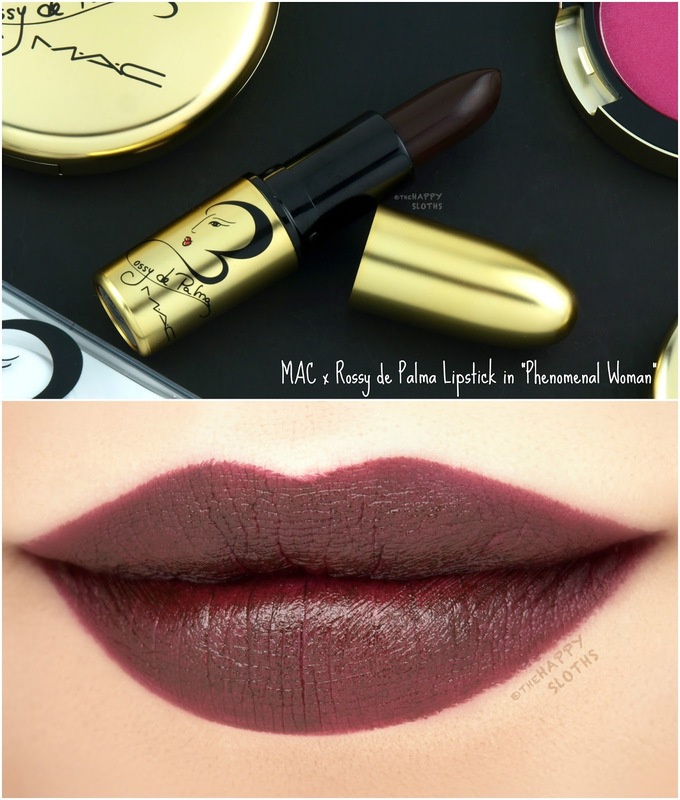 Although rich and pigmented, the color is slightly patchy. You can probably build up to a decent enough coverage but I would recommend pairing it with a dark lip liner to ensure complete opacity. 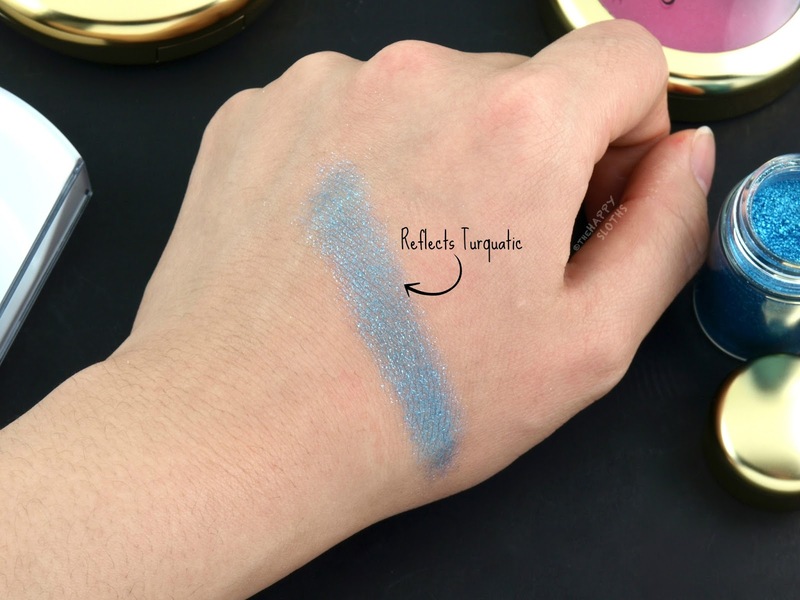 A loose glitter packaged in a cute 4.5 jar, "Reflects Turquatic" is a bright blue shimmer that's surprisingly fine and non-gritty. The formulation doesn't adhere well to bare skin so it's best combined with a mixing medium or applied on top of a sticky base. Although MAC doesn't advice using this around the eyes, I can't see it being applied to anywhere else on the face or body. 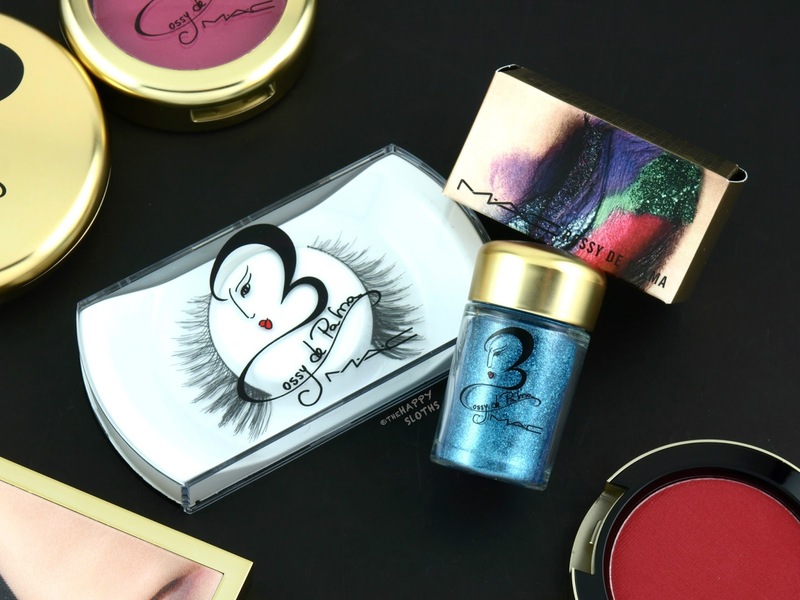 MAC x Rossy de Palma | Glitter in "Reflects Turquatic"
This is a pair of synthetical falsies. The lashes start off very sparse and short on the inner corners and gradually become denser and more whispy. 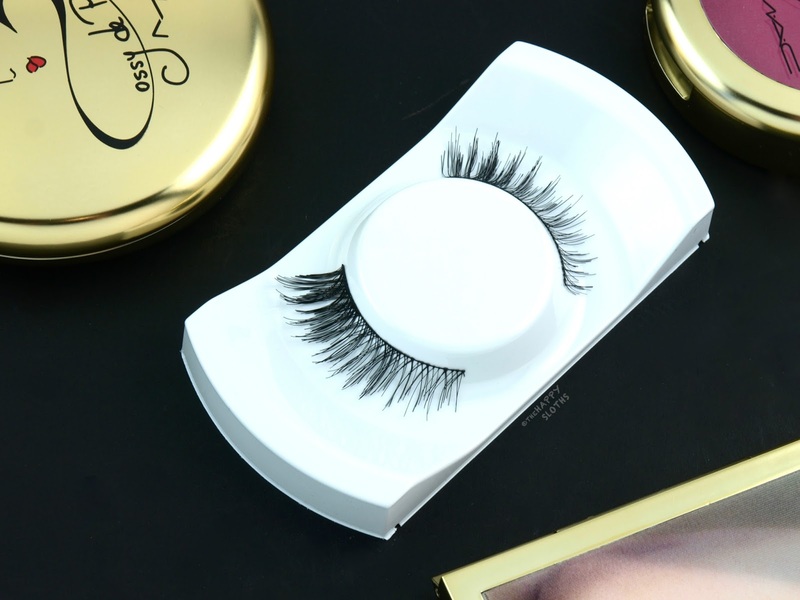 Unlike most of the items this collection, these lashes are actually very natural and appropriate for everyday wear. This limited edition collection is available online and in stores until November 16th. Have you picked up any pieces or do you plan on checking anything out? Share with me in the comments below!